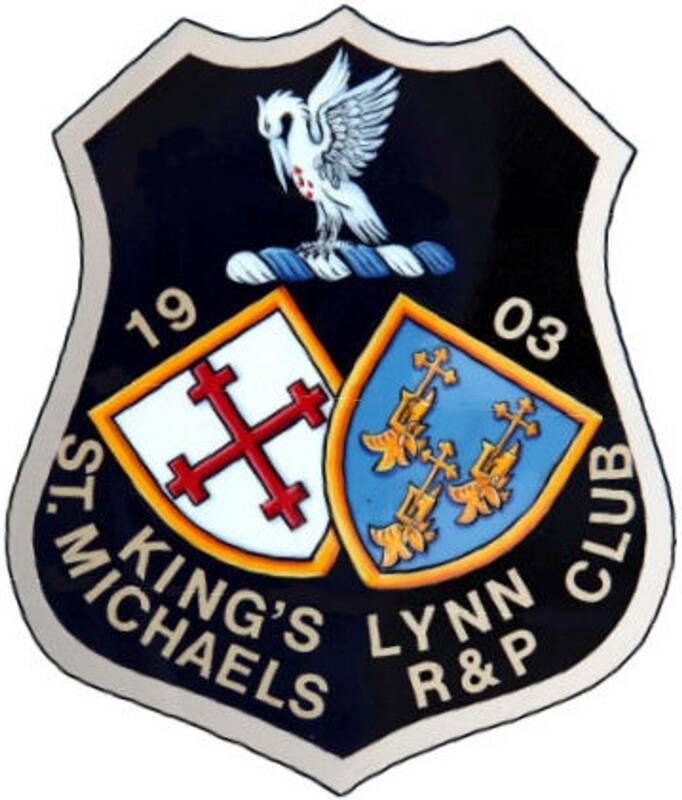 King’s Lynn St Michael’s Rifle & Pistol Club (KLSM) moved to its current location of West Bilney in 1971 and was opened by the late Earl Spencer, father of the late Diana, Princess of Wales. He opened the then new clubhouse and indoor range with the first shot which is still on display inside the clubhouse lounge. We are a Home Office Approved club and have membership and affiliations to several national shooting organisations such as the National Rifle Association, National Small bore Rifle Association, Muzzle Loaders of Great Britain and the Norfolk County Rifle Association. We have around 300 members from a wide variety of backgrounds and professions. The club is run by a committee of officials with the aim to promote target shooting as a fun pastime and general hobby. The clubs indoor range has 6 x 25 yards shooting lanes available, which includes 5 prone positions and 6 standing bays. We currently compete in a number of Shooting Disciplines ranging from black powder through to rimfire and gallery rifle. Competitions range from internals to county and some nationals. We always aim to encourage members to enter competitions to help develop their own shooting skills. Fullbore target shooting will usually take place at the Thetford MOD Rifle Range (over ranges of 100m to 600 yrds) and on the ETR ranges at the STANTA MOD training area close to the town of Thetford. We normally hold one or two fullbore shoots every month, and we also share shoot dates with other shooting clubs. Over the last couple of years club members have started to participate in the national Civilian Service Rifle (CSR) competitions held at the national shooting grounds of Bisley. Practice days for CSR are normally held every 1 - 2 months between club members when club shoots take place at the MOD range at Thetford. 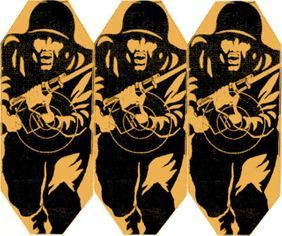 The image on the right is an example of the type of targetry used for this fullbore discipline.